There are methods whereby we can learn to gradually apply ahimsa in our daily life. 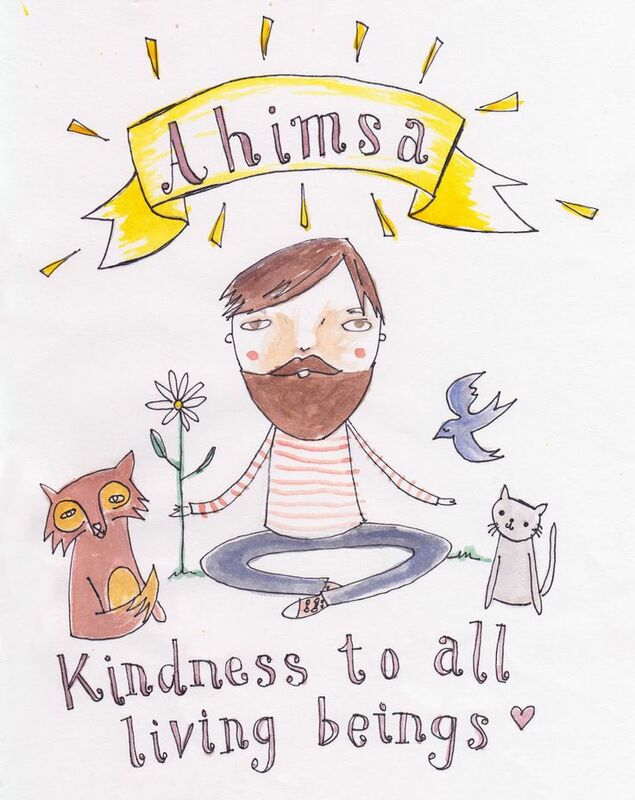 The application of ahimsa is easier said than done. For the past year, i have been gradually removing meat away from my everyday diet simply because i am not a fan of meat. (I only consume chicken meat in general) More importantly, the thought of how animals are being killed throughout the whole food preparation ecosystem makes me shudder. During Chinese wedding dinners, there are times when grilled baby piglets are served and that normally makes me uncomfortable just by having that dish in front of me. As such, ahimsa for me in terms of not harming animals makes a lot of sense since i love animals and if i am given the chance to choose my career path again, i would definitely want to work at the zoo or even be a veterinarian. It occurred to me, a friend of mine recently asked me a question. Q: So, do you like animals more than human? I answered yes, without even thinking twice. The complex human mind is sometimes too evil. Everyone ALWAYS… have a hidden agenda in their head and a reason for them to do anything. Human is naturally selfish, greedy and egoistical. Or at least, most of the people i have met in my life is like that. It is extremely rare, for me to meet people who are pure at heart, mind, thoughts and actions. And even if there is, my complex human mind will doubt this behaviour. I believe there is nothing wrong with this as it is human nature… but it also explains why i love animals more than humans. After that conversation, it further dawned into me how untactful i am sometimes in my daily conversations. I hurt people with my words very often due to my sarcasm and also nature of work when dealing with people. Sometimes, my sarcasm is used to intentionally make people realise of their own mistake. That said, i always am too fast with my tongue and not let words linger in my head first before i spill them out. Who am i to judge another person when i am myself not perfect? So yes, the application of ahimsa is not as easy as it seems because it also encompasses our speech and inner thoughts to not hurt anyone, any soul, any being. That said, of late i have been trying my very best to give myself at least 5 seconds to think before i answer and if in any chance i find myself untactful in conversations, i try to apologise or make it humorous instead of sarcastic. Better sharing happiness than insinuating negativity right?